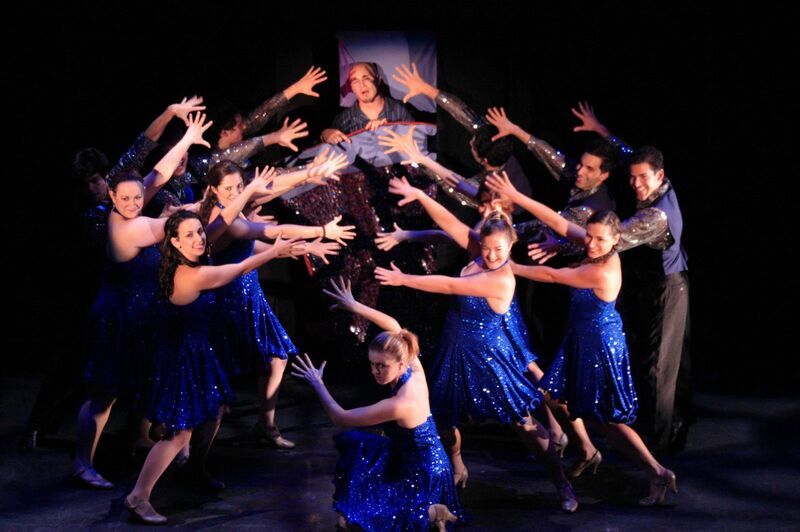 AMDA | AMDA News - Mark McDaniels Talks "Show Choir!-The Musical"
Mark McDaniels Talks "Show Choir!-The Musical"
AMDA alum Mark McDaniels and his writing partner Don Garverick wrote the new musical Show Choir! – The Musical in 2006, a comedic musical documentary that follows The Symphonic Sensations from their small town show choir to big time showbiz success with an explosion of tight harmonies and jazz hands. Show Choir! has had successful runs at the 2007 NY Fringe Festival, where they were the winner of two awards for Overall Excellence, and last year’s New York Music Festival (NYMF). Mark and Don were also honored at the 2010 York Theatre's NEO (New, Emerging, Outstanding) Concert celebrating new musical theatre writers in NYC. More recently, Show Choir! was picked up by The Royal Scottish Academy of Music and Drama and will be presented in workshop at this year’s Edinburgh Fringe Festival throughout the month of August. We spoke with Mark McDaniel about his AMDA days and what he’s been up to since. I started attending AMDA two weeks after graduating high school so it was a great introduction to NYC and the theatre community. There were a couple of teachers who really hit home with me in terms of [teaching me] the craft of acting and/or how to present a song. NYC is one of the greatest cities in the world, especially if you want to pursue a career in musical theatre. Times Square and Lincoln Center were only blocks away from AMDA so I felt like I was right in the middle of everything I aspired to be. I went on to work as a performer in numerous regional and NYC productions. As a jack of many trades I have also been seen and heard as a voice over actor, composer, writer, mosaic artist, house manager, along with casting and producing. I am currently writing and producing. Show Choir! - The Musical has basically taken over my life since 2006. My Show Choir! writing partner Don Garverick also went to AMDA. Each year has presented us with new opportunities to advance the show and increase our exposure. As a composer I had always dreamed of writing a musical and then in 2003 Don and I decided to start working on Show Choir! just to challenge ourselves. How did the idea for Show Choir! come about? Ever since graduating college I had the idea to write a musical about what would happen if show choir took over the pop culture of America and then in 2003 Don suggested that we tell the story as a mockumentary "Behind the Music" format which inspired us to start working on the project. It's interesting to point out that since we began writing Show Choir! the rise in popularity of projects like American Idol, So You Think You Can Dance, High School Musical and Glee have given our show a whole new layer of humor. We wrote about show choir taking over the pop culture of America and then it actually happened. One might think that back in 2003 we had a glimpse of the future and it was filled with sequins and jazz hands! What would you like to see happen next with Show Choir! and beyond? After several developmental productions we feel the script is ready to be developed into a large scale production. 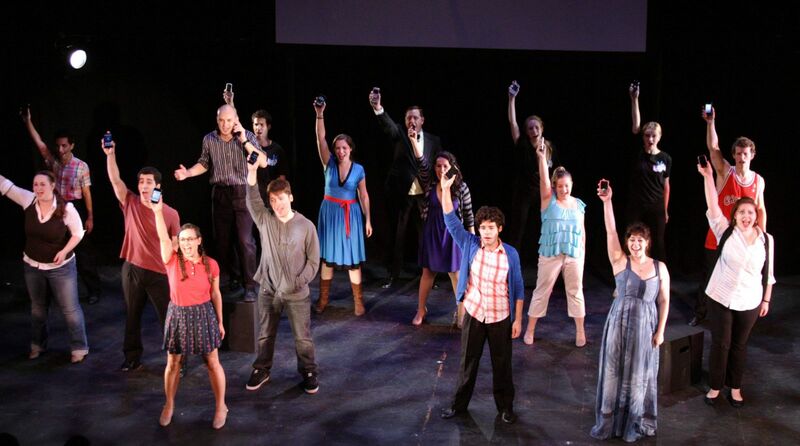 We are actively seeking Broadway and regional producers interested in helping us move the show forward. We remain very optimistic that Show Choir! will have a long life on Broadway and beyond. Don and I plan to continue collaborating on new musicals. My goal in the next 5 years is to be working full time utilizing my creative talents as a composer, singer/performer, writer, voice over actor, and artist. Don't be afraid to promote yourself; if you don't toot your own horn then nobody will ever hear you! Show Choir! is accepting charitable contributions to help take the production to Scotland.